Preheat grill or broiler. Grill or broil corn until blackened on all sides; cool; remove husks and silks. Cut 4 of the ears into 24 (1-inch) rounds; reserve for garnish. 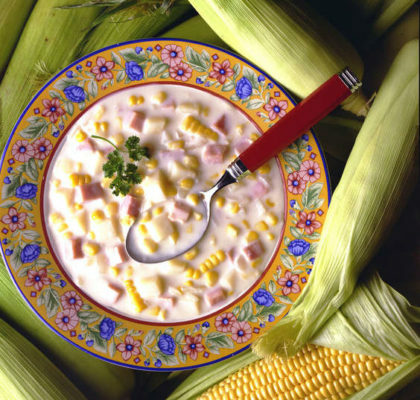 Remove kernels from the remaining 14 ears (makes about 3-½ pounds or 2-½ quarts); break cobs in halves and reserve. In a large stockpot, over medium heat, heat oil. Add onions, celery and carrot; cook until tender but not browned, about 10 minutes. Stir in jalapeño, thyme, sage, salt and pepper; cook and stir for 2 minutes. Add reserved cobs and 2 quarts water. Raise heat to high, cover and bring to a boil. Reduce heat; simmer until flavors are well blended, about 45 minutes. Remove and discard cobs. 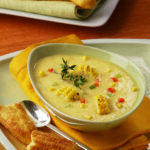 Add 3 pounds of the kernels and simmer for 10 minutes longer. Remove pot from heat. Using an immersion blender, puree soup. 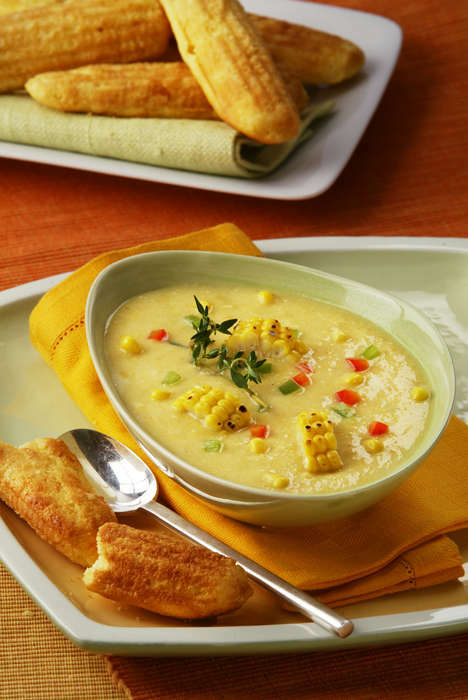 Add remaining corn kernels; adjust seasonings. To plate: Spoon into soup bowls. 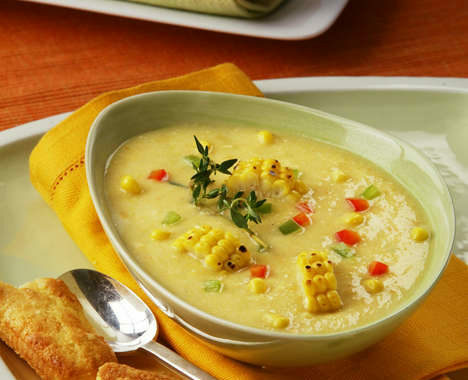 Garnish each portion with 2 of the reserved corn wheels and, if desired, with a dollup of sour cream or crème fraiche; sprinkle with bell pepper. 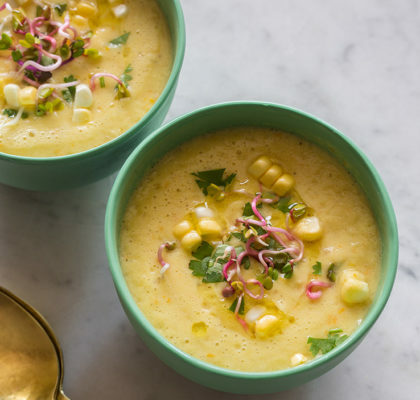 A silky, sweet, and indulgent corn chowder for the last of those chilly Spring nights.